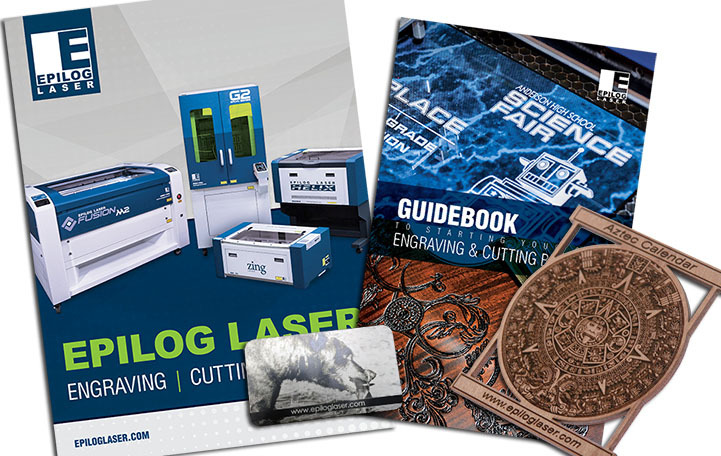 With so many styles and textures, fabric is becoming increasingly popular for engraving. Tightly-woven fabrics, like the one we show here, produce a bright contrast and appealing engraving result. 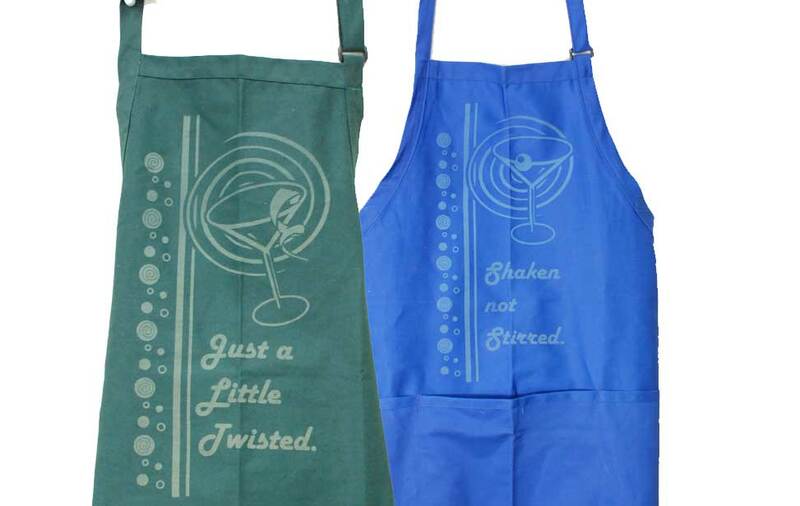 Here we'll walk you through the steps to create a stunning customizable bartender's apron - perfect for culinary beginners or the most seasoned drink pourer. 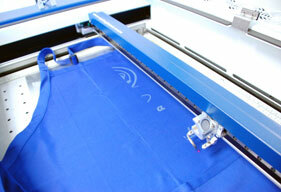 These laser engraved aprons showcase how well fabric etches with a laser. 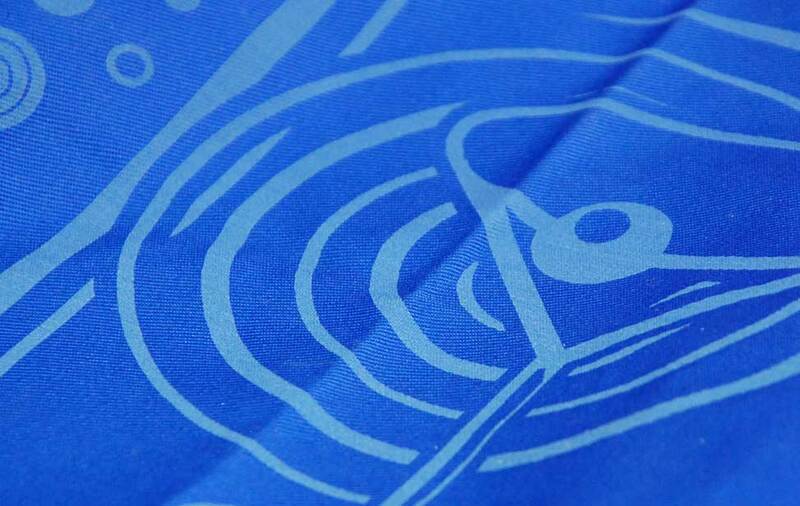 A closeup of the engraving on the blue fabric. 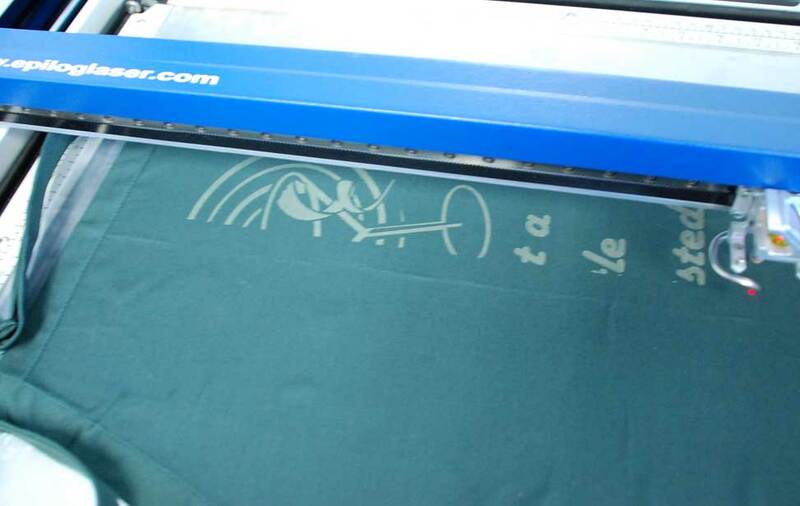 The apron sits flat inside the machine as it is etched. Apron - we purchased ours from Amazon.com. 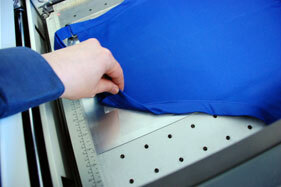 Note: stick to darker fabrics as they produce a better contrast when engraving. Scrap piece of sheet metal, acrylic or other material with a flat surface - you can use this to help keep the apron flat during engraving. 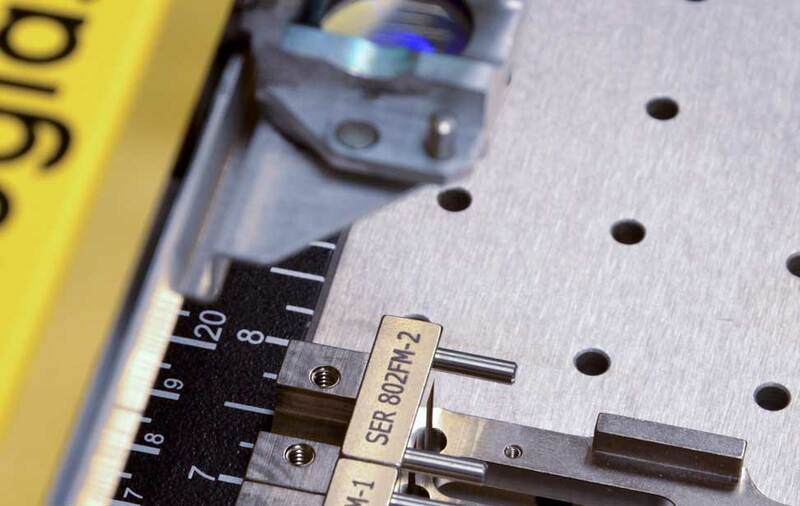 We used a 50-watt Helix with the following settings:100% speed, 25% power, 150 dpi (when engraving fabric, a lower dpi removes less material, keeping the fabric stronger). To stretch the fabric flat, take your piece of scrap material and apply the double-sided tape to one side. Center the apron on the scrap piece, and fold the remaining fabric so that it is out of the engraving area. This helps ensure the apron lays flat while engraving. See images to the left. Center the apron within the machine. After you've selected the file you want to engrave, draw a vector box around the design and run ONLY that job. Make sure the red dot pointer is on and the lid is open, so the laser won't fire. 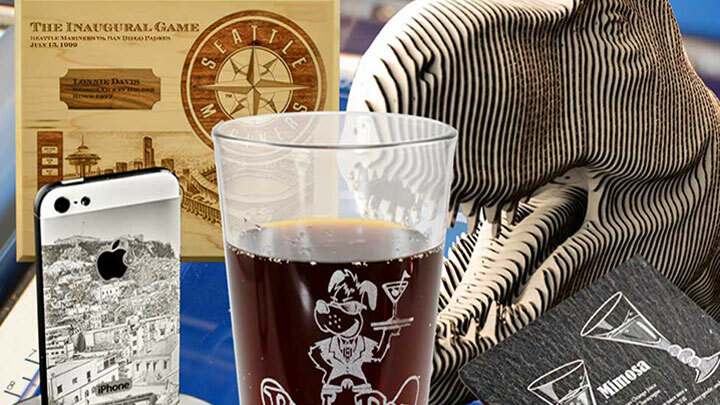 This will help ensure your design is engraved exactly where you want it. 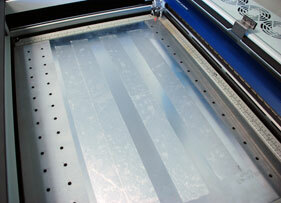 When you're happy with the placement of the design, remove the vector box and send the job to the laser. After the engraving is finished, take the apron out of the machine and remove the scrap material and the project is complete.